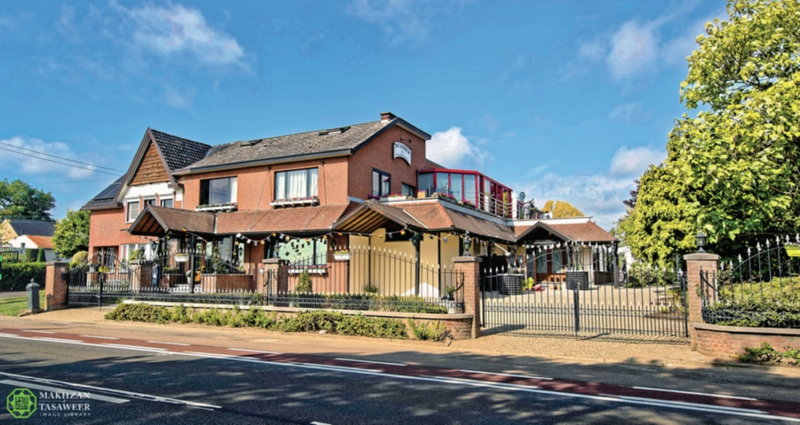 The Ahmadiyya Muslim Community is pleased to announce that the World Head of the Ahmadiyya Muslim Community, the Fifth Khalifa (Caliph), His Holiness, Hazrat Mirza Masroor Ahmad arrived in Belgium on 12 September 2018 where he inaugurated the Baitur Raheem Mosque (House of the Merciful God) in Alken city. 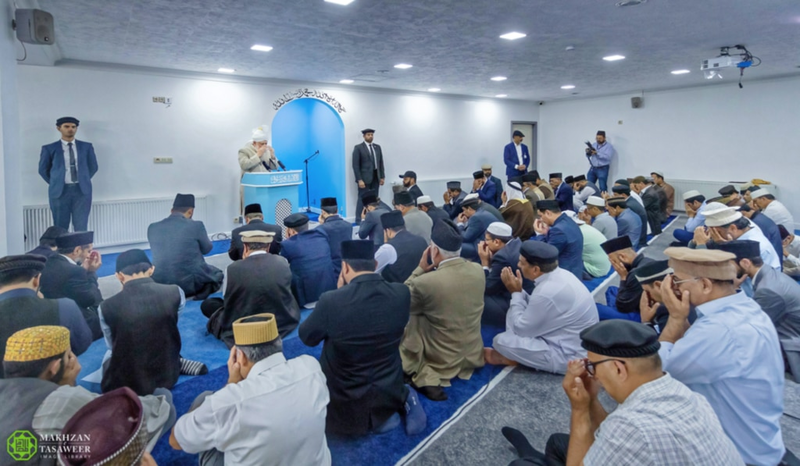 Upon arrival at the new Mosque, His Holiness was greeted by the Mayor of Alken, Marc Penxten, as well as hundreds of Ahmadi Muslim men, women and children. 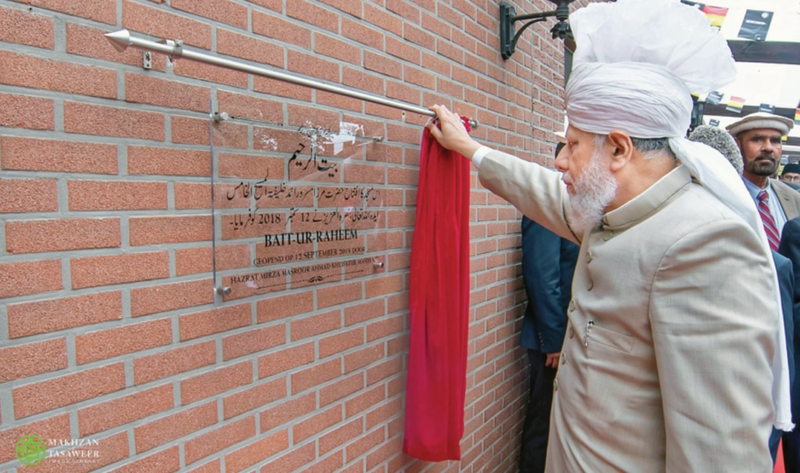 His Holiness officially inaugurated the Mosque by unveiling a commemorative plaque and offering a silent prayer in thanks to God Almighty. 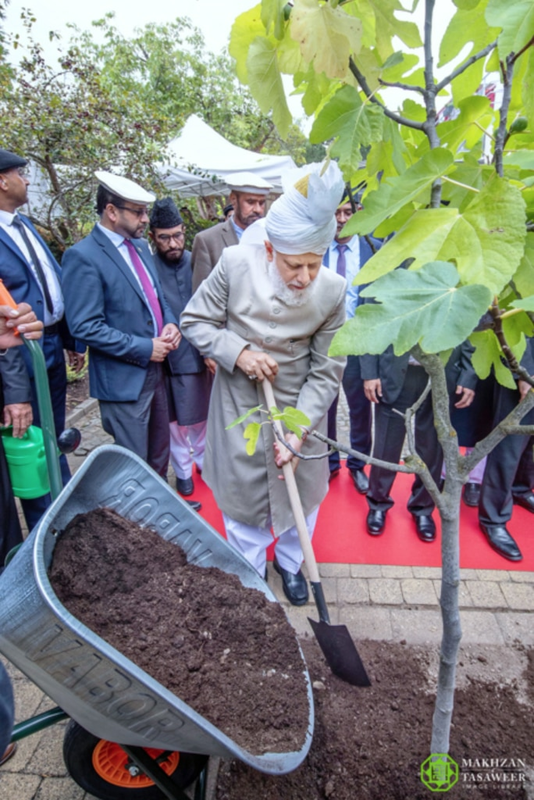 His Holiness also planted a tree at the site to mark the occasion, whilst another tree was planted by the Mayor of Alken. Thereafter, His Holiness led the Zuhr and Asr prayers before addressing the local Ahmadi Muslims. 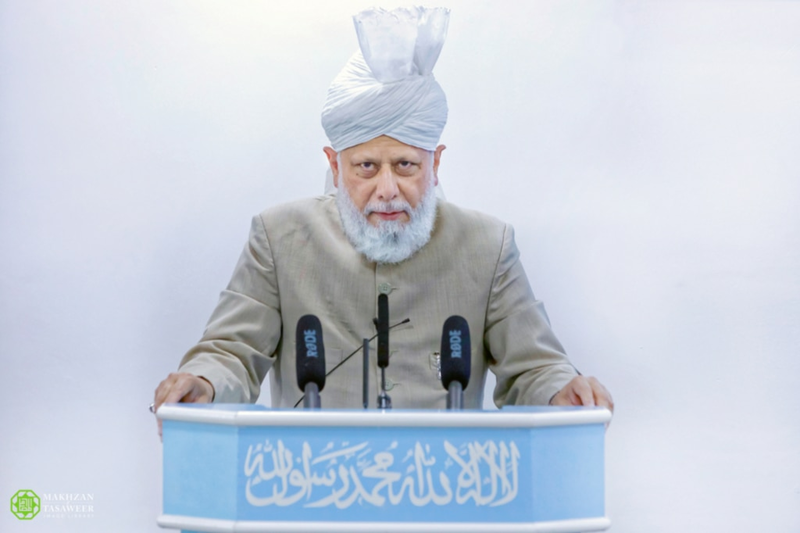 During his address, His Holiness said that the responsibilities of the local Ahmadi Muslims to practice and preach Islam’s true message of peace and inclusion had increased now that they had a Mosque to worship and congregate in. His Holiness also praised the local authorities for supporting the Ahmadiyya Muslim Community in its efforts to build the new Mosque. 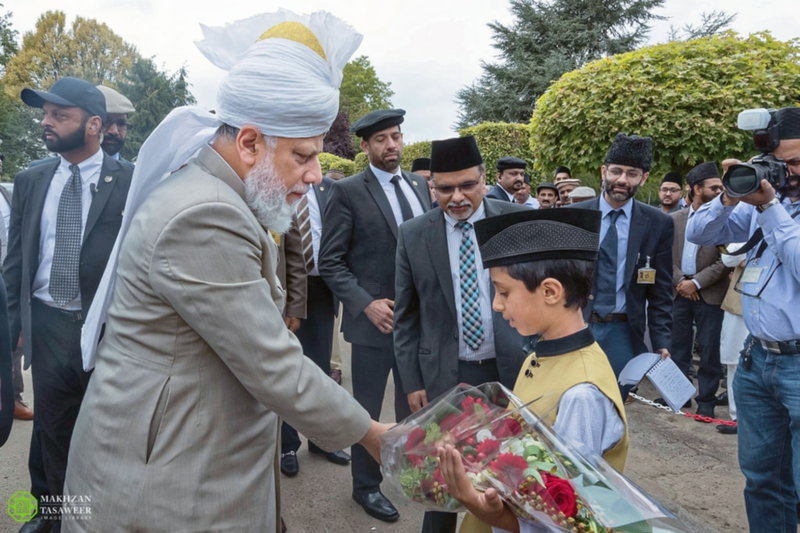 At a time of increased materialism, His Holiness said it was incumbent upon Ahmadi Muslims to pay special heed to ensuring they gave precedence to their faith over material interests. 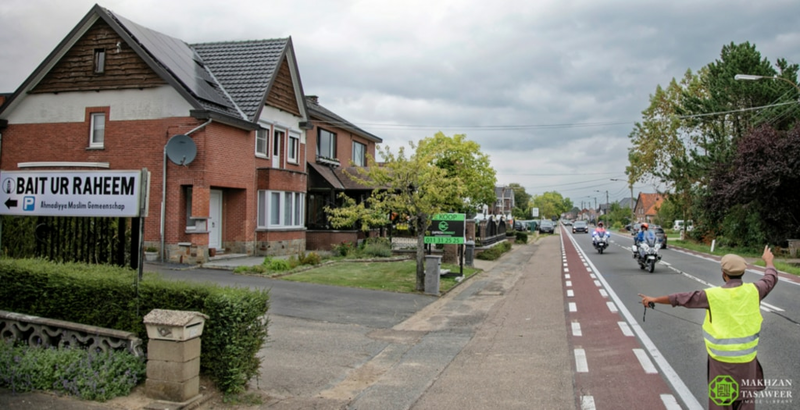 The Khalifa (Caliph) travelled to Belgium from Frankfurt by road and after arriving in Belgium he was greeted by the National President of the Ahmadiyya Muslim Community in Belgium, Dr. Idris Ahmad and various other officials. 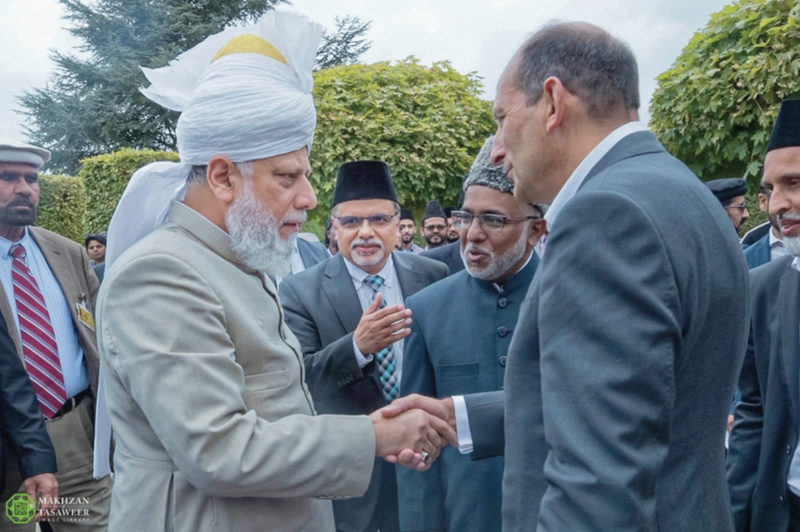 His Holiness has travelled to attend the Jalsa Salana (Annual Convention) of the Ahmadiyya Muslim Community in Belgium taking place in Brussels, Belgium. 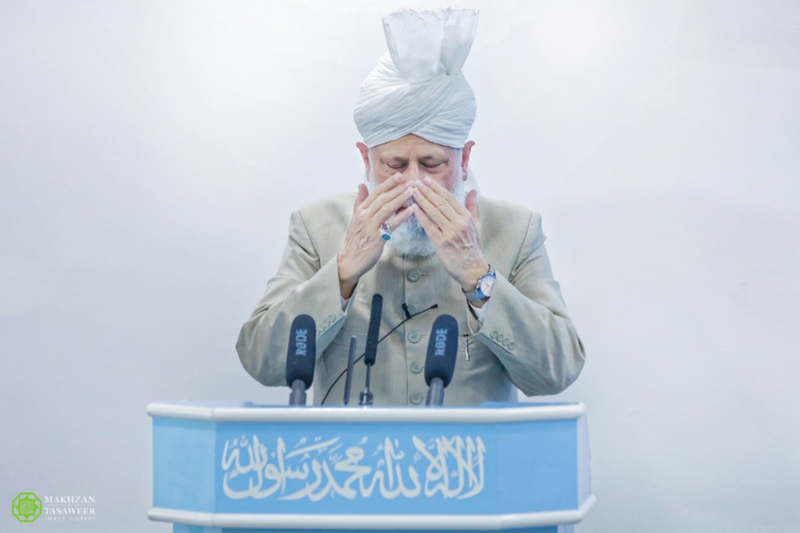 During the 3-day event (14-16 September) His Holiness will address both Ahmadi Muslims and non-Ahmadi guests about the true and peaceful teachings of Islam. His Holiness will also present Ahmadi Muslim male and female students with awards in recognition of high academic achievement.